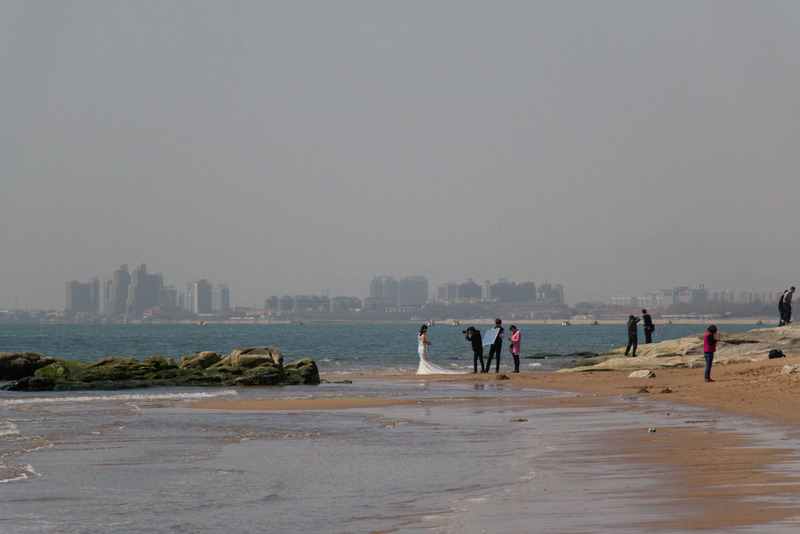 Qinhuangdao is a small and prosperous town situated conveniently between the two very popular tourist destinations of Beidaihe and Shanhaiguan. 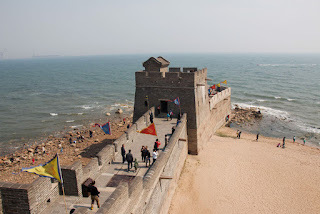 The latter is definitely of more interest to the foreign tourist as it is the site of a Qing Dynasty walled city, and more importantly, it is where the Great Wall of China meets the sea. 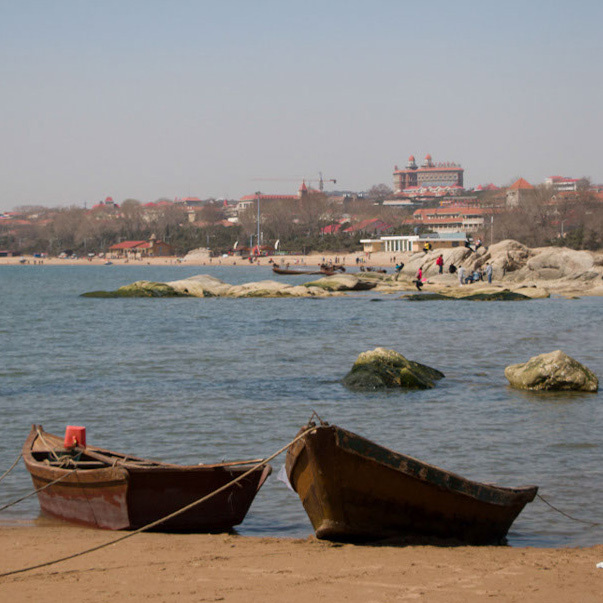 Beidahe was the official resort of Mao and the communist party leadership up until the 90s, and is still a seaside holiday town. Over-developed and still under development, it is nonetheless an interesting place to visit, although half a day may well be enough. 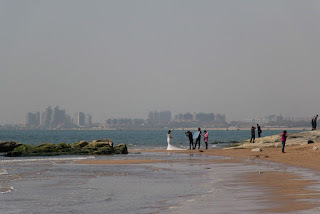 Qinhuangdao is a good choice to stay for three reasons. 1)It's on the main Beijing to Harbin trainline so the fast trains stop here and there's easy bus connections to both Beidaihe and Shanhaiguan. 2)It's not as expensive as its touristy neighbours but there still are plenty of hotels and places to stay. 3)It's a laidback beach town without the millions of tourists. 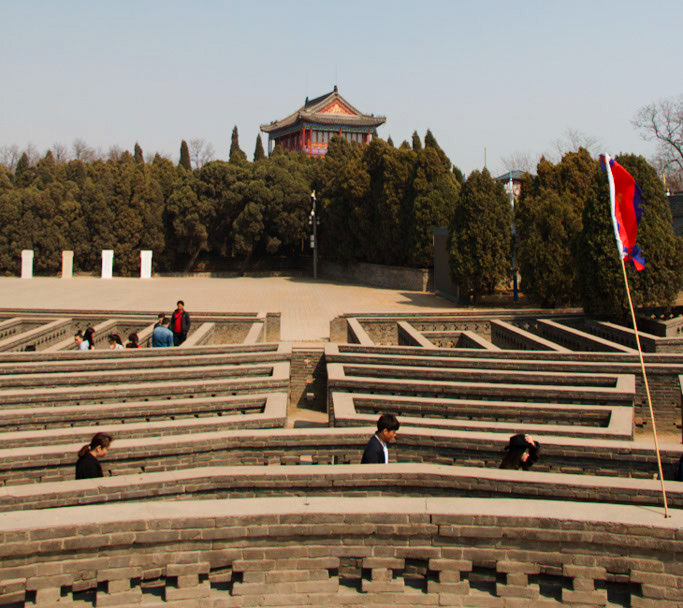 Of course there are also many accommodation options in Shanhaiguan and Beidaihe too if you're planning a shorter trip. As the official holiday resort of Mao and comrades, different laws apply here. The most relevant being that only a few hotels are allowed to take foreigners. They will NOT bend the rules (as I discovered), so if you book in advance, check (as I hadn't done)that they take foreigners. As the official holiday resort of Mao and comrades, Beidaihe's infrastructure is very well established. You can rent tandem bicycles or walk along leafy avenues. There are numerous beaches with all the activities you would expect from a resort town. On the one beach we were offered a fishing trip where lunch consisted of what you caught. There's also lots of street food and snacks to be had and many things for sale on the roadside. Prices are of course higher than other areas and you will need to bargain hard. 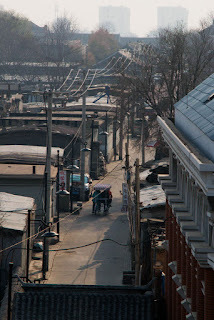 Overall it feels very civilised and very clean, a kind of Communist Utopian Chinese beach holiday town! There are two main areas of historical interest here and they both are definitely worth a visit. Within walking distance from the train station is the walled city (古城). This area has been developed as a major tourist attraction and within the city walls there are tourist shops, old fashioned streets and sights such as gates and towers. Each of these has a different ticket with a different price tag depending on where you want to go. 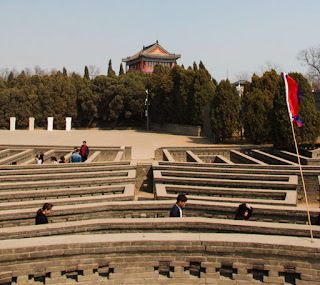 I paid 15RMB for the ticket that gave me access to the walls and the famous gate "Tianxia Diyi Guan" (天下第一关). This also allowed me to enter a park area with a lake. On the walls, entry to some towers is also included. 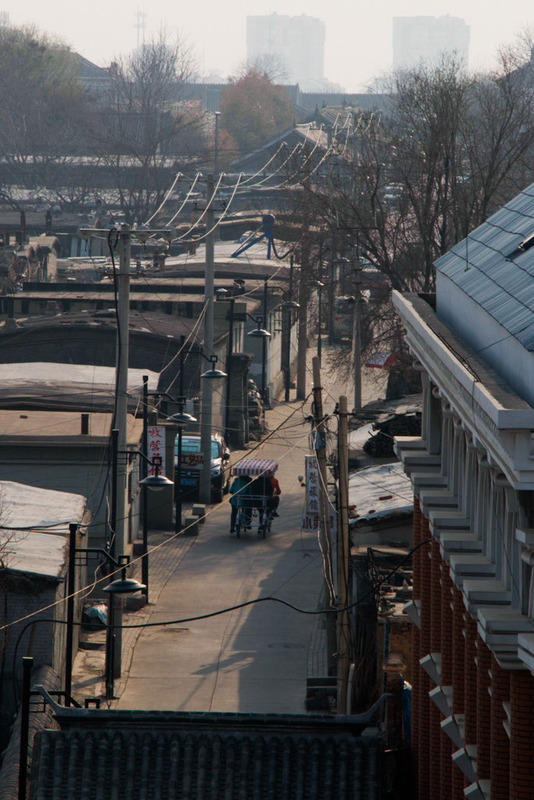 Unlike Xingcheng, further up the coast, you can't walk around the entire city on its walls. 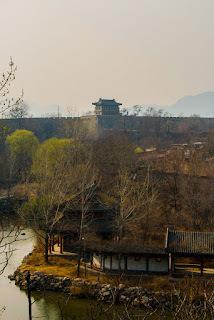 The second attraction in Shanhaigun is of course the Great Wall. Whimsically called "Old Dragon Head" in Chinese, this is a tourist area which includes a bit of beach, at least two temples, a reconstructed Qing Dynasty military base, and of course, the End of the Great Wall of China. Getting here from Shanhaiguan train station is easy as there's a small bus station at the opposite end of the square with modern and frequent buses. It takes about 20-30 minutes. A 20RMB ticket will give you full access to this area and you should give yourself at least 2-3 hours to see everything. You begin in the old military base where there's a prison, barracks and other buildings. Further on there's a very fun maze to explore, with people shouting directions in the middle. There's also a temple and a tower called Chenghailou(澄海楼). Once you've explored this area, make your way along the Great Wall that sticks out into the sea! After you've enjoyed the views, sea air and crowds of people, head across the beach to the Temple of the Sea God (海神殿) and viewing pavilion for more beautiful views and sea air. Because these are tourist areas, the food is not of the highest quality. Seafood abounds in all these places, and in Beidaihe, we had a great meal of pipixia(皮皮虾) - some kind of lobster/crayfish. In Qinhuangdao, where its cheaper, we found an all you can eat seafood buffet, that was also very good. 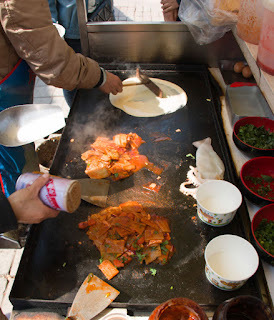 Perhaps the best treat though, was the grilled fresh squid which we bought at the bus stop in Shanhaiguan. For the best food though, get away from the tourists, and head north to Huludao which has the best seafood I've had in China.